This venue is located in the heart of historic St. James. 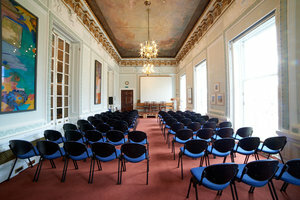 The space features huge windows which floods the venue with natural light. 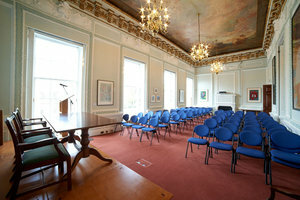 The space can comfortably accommodate up to 100 people. 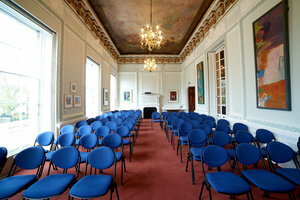 The venue features a Delacroix trompe l’oeil painted ceiling as well as two brass chandeliers. The venue also features a built in audio visual system, tables and chairs and WiFi. 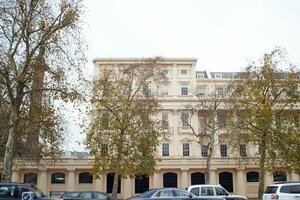 It is conveniently located less than ten minutes from Leicester Square and Piccadilly Circus.